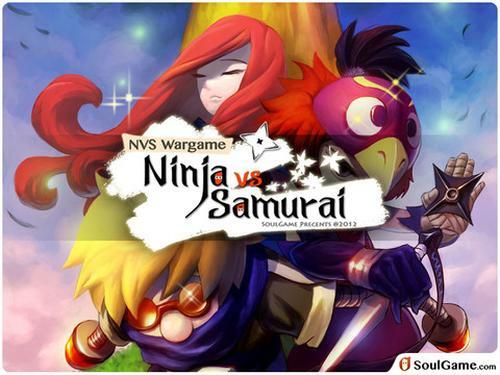 Gamers are constantly being treated to a number of brand new quality titles arriving on the various platforms, and today we have news of the NVS Wargame – Ninja vs Samurai strategy title that is currently being offered as a free download and now has compatibility with the Apple iPhone. This brand new and unique strategic turn based game allows users to manipulate a combination of Ninja and Samurai units as you attempt to defeat you enemies. As a user progresses they can unlock even more levels giving them an even wider selection of Ninjas and Samurais, along with more equipment that allows infinite possibilities. The game will challenge all levels of strategy skills among players and will keep them guessing as each level is started as well as the story unfolds. Along with currently being offered free the company has now released an iPhone version of the highly rated game, and those trying it for the first time will be amazed by the level of tension that it offers. Each individual Ninja or Samurai unit has special abilities and strengths than can be used on the field of battle and can be fitted out with helpful equipment systems. There are 30 storyline missions and 40 exploration missions that offer secret quests and demanding tasks. NVS Wargame – Ninja vs Samurai is available on the App Store around the world free for users of the iPhone, iPad, and iPod Touch with iOS 5.0 or later and check out the demo video we have embedded below.